Why do we need Bike Hoops? A modern design with unique style, the distinctive Key Shaped Designer Bike Rack is engineered to improve stability and increase wheel protection. With great space efficiency and the ability to accommodate two bikes at a time, it can be also secured at both the frame and the wheel for added protection over single-point bike racks. Surface mounted and constructed from heavy duty thick steel, the Key Shaped Designer Bike Rack is the perfect blend of practicality and style. At NJM Group we are committed to providing products and services of a high quality that consistently meet our customer expectations and industry standards. 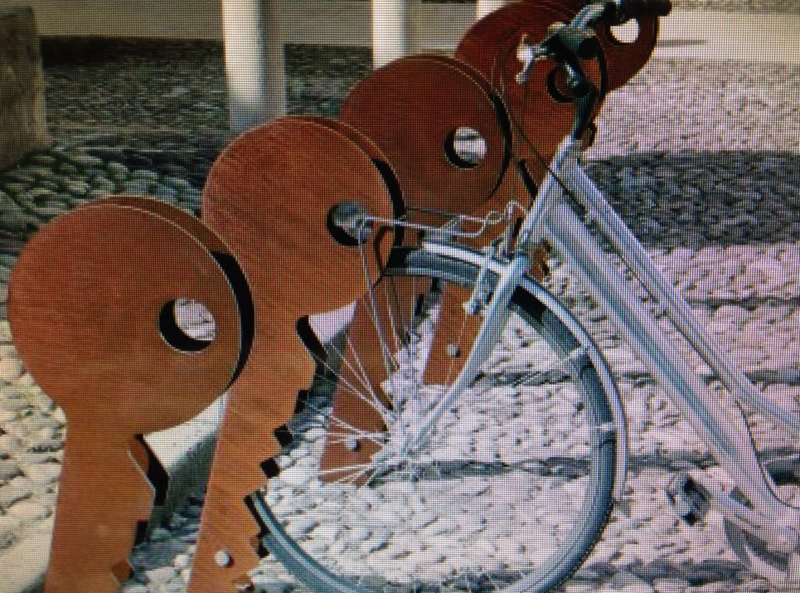 Our Key Shape Designer Bike Racks have been tested and are compliant with Australian Standards AS2890.3 for Bicycle Parking Facilities. They can be installed on our locally manufactured bike shelters or crash rail containment barriers as well as being complimented by our fixed bollards for further protection against vehicles that may be parking close by. Australian Bollards can offer a customised solution to suit your bike storage needs. Copyright ©2018 Bike Hoops by NJM Group. All Rights Reserved.